* Equipped with a rigid and durable steel foot plate. 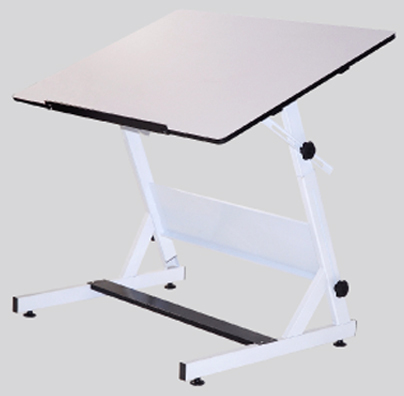 * Also features adjustable rubberized feet and a rear facing book or accessory shelf. * Finished in white premium baked enamel finish. * se footprint is 28.25"D x 34.5" W.
* Available with white top (31.5" x 48") and white base. 46" x 32" x 5"